Our customer Gina was at Lux Coffeebar wearing one of her favorite Bunky tops when she ran into Vince from Entourage (actor Adrian Grenier). 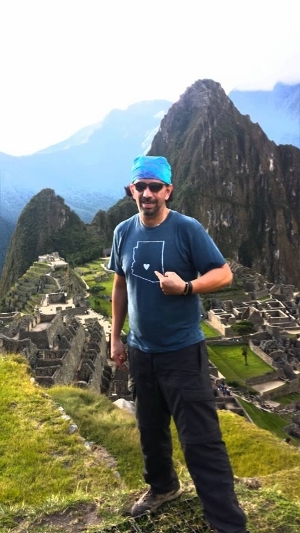 Jaime wearing his Arizona Love Bunky tee at the top of Macchu Picchu, Peru! AMAZING!